Hello! I’m so glad to be feeling better again! That stomach flu was nasty! 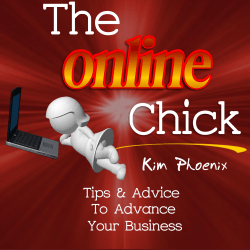 Today, I’ve got some great information about the script that I use to run my PLR site. I still stand by what I said in that post, but today I want to elaborate even more about Amember. I am using one of the earlier versions of Amember 4, which I’m told is quite different from former version, Amember 3. I cannot compare it to Amember 3, but I can tell you that the more I use Amember 4, the more I like it! I think that the biggest drawback to it was learning how to set it up and how it worked. But now that I have that all figured out, I have become a raving fan. So if you have not yet read my other post, do that first, and then come back to read some other reasons why I like this program so much. The ability to make coupons – You can create a custom coupon and name it whatever you like (ex. Save10). You can set the date that the coupon begins and expires. You can control how many coupons can be used (ex. like only the first 20 customers) before that coupon expires. The ability to set the number of sales – In my particular case, I sell limited numbers of PLR packs. When creating a new product for sale within Amember, I indicate how many packs will be sold, and the software keeps track of the numbers as they sell. In other words, I don’t have to figure it out manually. Amember does it for me. Records details of the sale – I didn’t realize how important this was until I had a customer claim to Paypal that he had made duplicate purchases, and wanted a refund. Paypal’s immediate response is always to side with the customer, and provide a refund (meaning they take the funds out of your account). In this case, Amember records showed that he had NOT made duplicate purchases. The paypal receipt #, and time of the transaction was all recorded within Amember. When I showed this to Paypal, they sided with my business, and put the money back into my account. I’m not sure if I could have proven this had I been using another program. You can block IP’s/users – There may be reasons when you need to block a user from your system, whether that be because they continually purchase and then seek refunds, etc. Or perhaps you have a customer who makes false chargeback claims against you (involving his/her credit card company). That can get expensive. Credit card companies will charge you a fee of $10, plus remove the payment you received from that customer. In these kinds of situations, it may be better to cut your losses early. Some people will legitimately make a mistake, but others will do anything to get your products for free. You can create one-time offers – Within the Amember dashboard, there is a OTO area where you can compose your offer, and tie it to particular products. For example, when people buy your report on “Tips on Buying Used Cars,” they will then be taken to a special offer page on “An Insider’s Guide on The Most Reputable Dealers State by State” (that you created within Amember) where they can choose whether they also want to purchase that special offer. 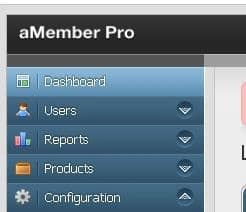 Affiliate payments – Not only can you use Amember for sales, you also use it to keep track of affiliate sales and payments. Every month, I have Amember set up to generate a report that indicates how much is owing to each of my affiliates. Once they have been paid, I have the ability to mark it as paid using Amember. Support available – One last thing that I want to mention is that support has improved since I wrote about Amember a year ago. You can now find documentation on Amember 4 online that guides you as to its set-up, and when you contact Amember with specific questions, the response is quite quick (within 24 hours generally). Of course, I have not gone into everything that you can do with Amember, including that it can be used for membership sites, but I hope that this gives you some ideas of why I have chosen to stick with Amember for my online business. If you are interested in using Amember for your business, be sure to use this link and Coupon Code WELLNESS to receive $10 off the cost.